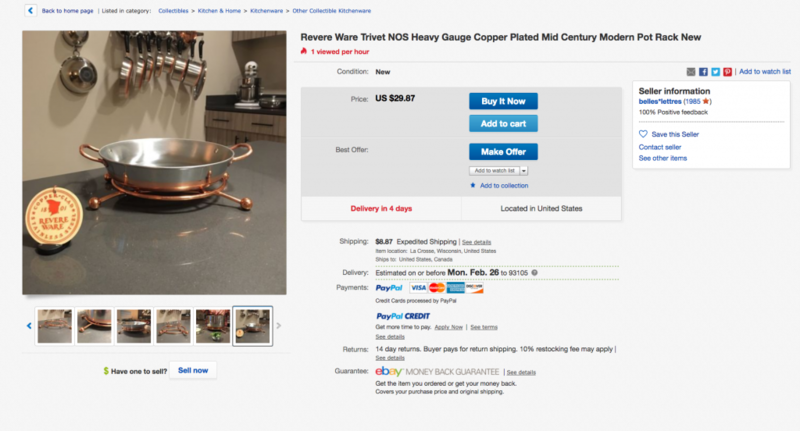 We recently came across this very interesting piece on eBay. And look at the gorgeous Revere Ware collection the seller has. 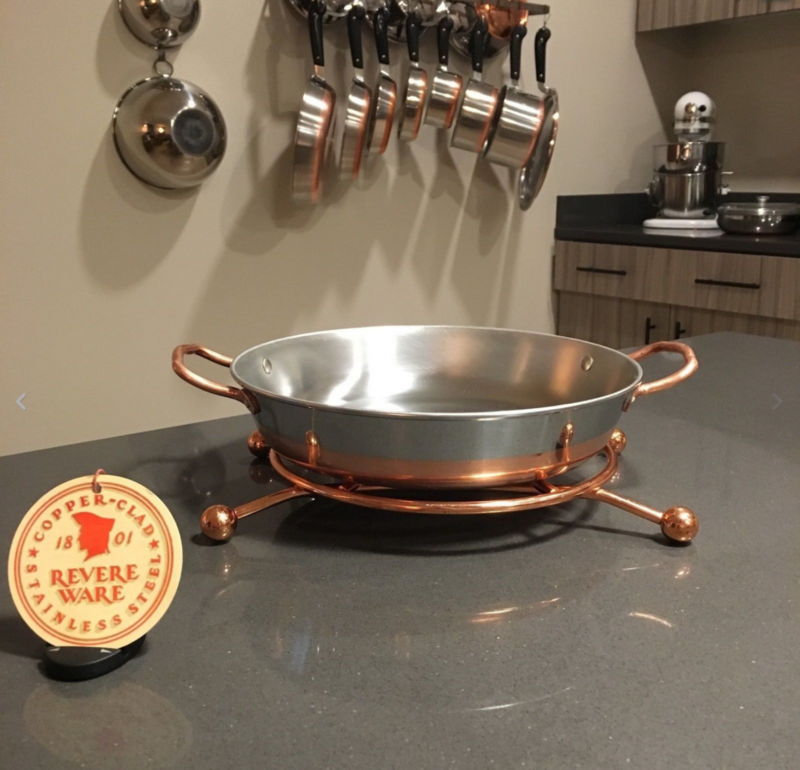 That is the first time I’ve seen a Revere Ware skillet with solid copper handles like that. Thanks to the Revere Ware Parts Team, I have a reliable and affordable source for both my Revere Ware restoration and refurbishing needs, and the go-to source for the best resource for Revere Ware history and vintage catalogues. Thanks for showcasing some of my Revere Ware offerings on eBay.